Go bold with your workwear or dress for the occasion with this colorful edit of suits from the Kasper label. 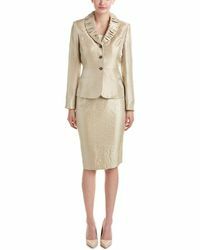 This American label is known for delivering smart ready-to-wear perfect for those occasions that require an added element of sophistication. This collection is an example of the label’s obsession with bright and vibrant colors. 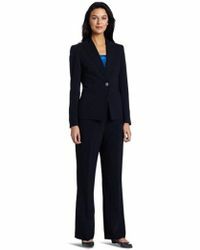 Choose from skirt suits with beaded trims that are cut to flatter the silhouette.